"It’s a big month for us! To launch four satellites on three separate missions is an enormous task and our team has risen to the challenge. In the past five days alone, we’ve successfully deployed Centauri I and II into Low Earth Orbit." It was another success as SpaceX's Falcon 9 soared this last Wednesday carrying Fleet Space Technologies’ second Centauri nano satellite from Vandenberg Air Force Base, in California. This is the fourth commercial satellite launched by the Adelaide-based IoT startup in the past month, after Centauri I was launched aboard Indian Space Research Organisation’s (ISRO) PSLV-C43 mission on Thursday, November 29, and experimental satellites Proxima I and II were launched aboard Rocket Lab’s It’s Business Time manifest on Sunday, November 11. Both Proxima satellites and Centauri I are successfully completing their duties. The second Centauri satellite is expected to start transmitting data in the next few weeks. Centauri I and II are a pair of identical 3U nanosatellites, designed by Fleet Space Technologies, built by Pumpkin Space Systems and tracked with ground station support from Leaf Space. 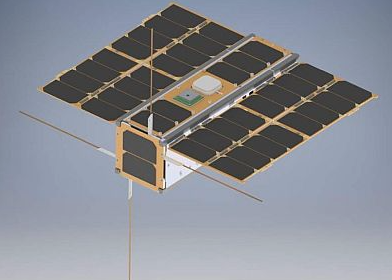 The satellites will form a constellation in Low Earth Orbit (LEO) powering a global network of connected sensors and devices to revolutionize industries. Just one satellite has the ability to cover 90 percent of the Earth. The flight was facilitated by Seattle-based launch services and mission management provider, Spaceflight. Regarding this news, Flavia Tata Nardini, Co-founder and CEO, Fleet Space Technologies, said "It’s a big month for us! To launch four satellites on three separate missions is an enormous task and our team has risen to the challenge. In the past five days alone, we’ve successfully deployed Centauri I and II into Low Earth Orbit.